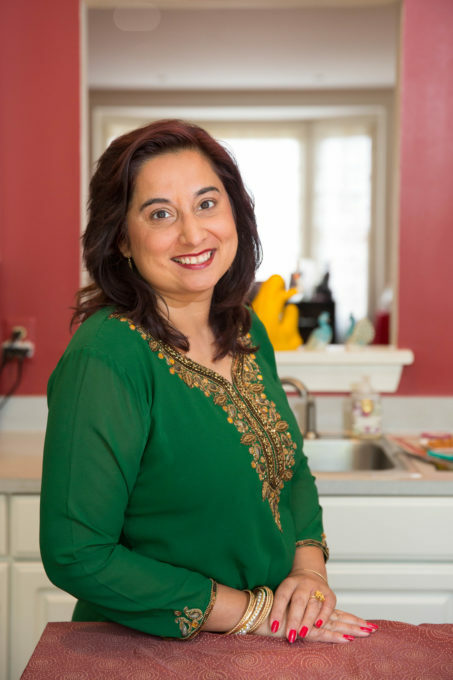 Born in New Delhi, raised in the Middle East, and living in Washington, D.C., acclaimed food writer Monica Bhide is the perfect representative of the new generation of Indian American cooks who have taken traditional dishes, painstakingly prepared by their Indian mothers and grandmothers, and updated them for modern American lifestyles and tastes. 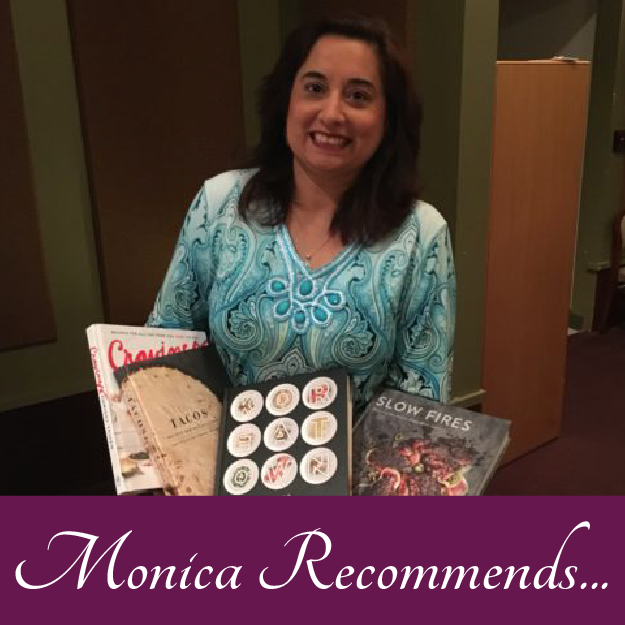 Respectful of the techniques and history of Indian cuisine but eager to experiment, Monica has written simple but deeply flavorful recipes. 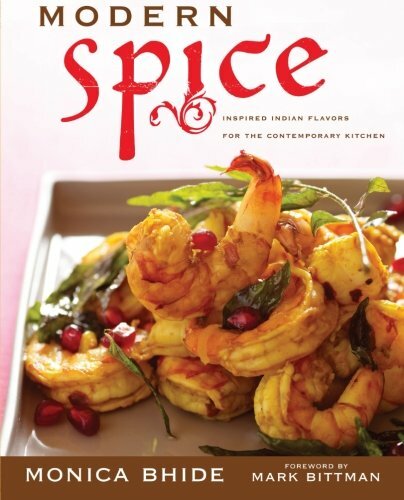 Modern Spice takes the vibrant tastes of India into the twenty-first century with a cookbook that is young, fun, sassy, and bold. Dishes like Pomegranate Shrimp, Paneer and Fig Pizza, and Coriander-and-Fennel-Crusted Lamb Chops are contemporary and creative. Bhide pours Guava Bellinis and Tamaritas for her guests, and serves Chile Pea Puffs and Indian Chicken Wings; instead of Chicken Tikka Masala, she serves Chicken with Mint and Ginger Rub. Make-ahead condiments such as Pineapple Lentil Relish and Kumquat and Mango Chutney with Onion Seeds add a piquant accent to the simplest dish. There are plenty of options for everyday meals, including Butternut Squash Stew with Jaggery, Indian-Style Chili in Bread Bowls, and Crabby Vermicelli, along with plentiful recipes for elegant dishes like Tamarind-Glazed Honey Shrimp and Chicken Breasts Stuffed with Paneer. For an original and effortless finish, spoon Raspberry and Fig Jam Topping over tart frozen yogurt or a store-bought pound cake, or if you have more time, tempt guests with exotic sweets such as Saffron-Cardamom Macaroons or Rice Pudding and Mango Parfait. As Mark Bittman says in his foreword, “there is not a cuisine that uses spices with more grace and craft than that of India,” and Bhide’s recipes do so, but without long and daunting lists of exotic ingredients. In keeping with its local approach to global flavors, Modern Spice includes a guide to the modern Indian pantry and Monica’s thoughtful, charming essays on food, culture, and family. Eight pages of gorgeous color photographs showcase the recipes. Product of a culture deeply bound to its traditions, Indian cooking has only recently begun to engage seriously with other cuisines. Bhide spearheads a movement seeking to reinterpret Indian cooking and make it more accessible to the growing international kitchen. Herself an offspring of the Indian diaspora and raised in the Middle East, Bhide eschews standard recipes that can be found in other Indian cookbooks, instead taking Indian ingredients, especially the vast array of spices, and applying them in original, intriguing ways. She concocts a cocktail snack based on Rice Krispies cereal but sharply scented with mustard seeds, turmeric, cumin, and fennel. Green chili chutney tops bits of omelet resting in little pastry shells. Mashed potatoes get a garlic, chili, and coconut kick. Dry rubs anoint both grilled fish and meat. Essays intersperse the recipes, most of them Bhide’s reflections on her family and upbringing. A revolutionary approach to Indian cooking.